One 18 karat yellow gold pendant/ enhancer by Beni Sung. 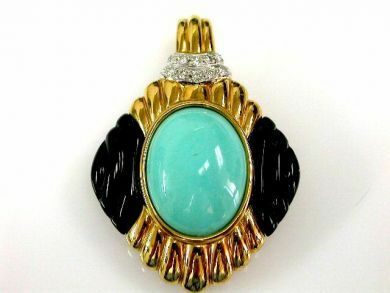 One turquoise (20.32 carats). Two fancy oval onyx pieces. Ten round brilliant cut diamonds (0.20 carats: VS clarity: G-H colour).